Prize Books are awarded to an outstanding student from a school's junior class who displays excellence in scholarship and high character, combined with achievement in other fields. We are looking for presenters to award the Book Prize at Jordan Matthews High School (910 E. Cardinal St., Siler City 27344) on May 23rd at 6 pm, Broughton High School (723 St. Marys St, Raleigh 27605) on May 13th at 7:00 pm, Northern High School (117 Tom Wilkinson Rd, Durham 27712) at 6pm, and NCSSM (1219 Broad St., Durham 27705). 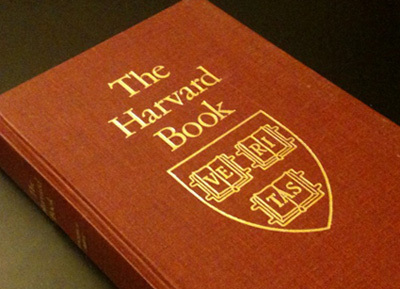 Please consider getting involved with our Prize Book program, either by representing Harvard at an award's ceremony or by sponsoring an award. To sponsor an award, please visit the HCRT website or click the following link - Sponsor Award.